Easter, a time to celebrate life. Yesterday I was reminded how precious each moment of life is. I watched someone's heart crack open yesterday and the sadness is hanging a little heavy around our family right now. It's not my tragedy or even my story to tell but bearing witness to a mother getting the phone call with news she has just lost her daughter is not something I ever care to do again. Ever. 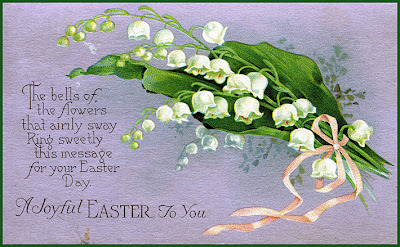 So I will wish you a wonderful Easter a few days early. Give everybody a little extra love, enjoy the treats and hopefully feel some warm sunshine on your face. Life is a treasure, every minute of it. Feels strange to be blogging right now, just not quite right somehow so I'm going to sign off for a bit. Probably be back next week. Turning off the comments on this one. Feel free to email me if you need to reach me before next week.